Airtel, because with my airtel sim, I have 8.8gb of data cap left. your modem and it will connect straight away. exhaust your 3gb data cap; which means it can finish at any time. Don’t too worry, as their will always be a way out. This is now the latest development. Then keep surfing and downloading until you are tied of the internet. complete and browse from your Nokia phone. u try.I will try it out. Wow…! Mtn is in trouble. That means i can now download my favourite movie. Tanks for the post. Nice Post Yomi prof, keep the good work up. You are the latest blog for tweaking, internet and a whole lot of online things. Chi… thanks a million. You are the best. unfortunately, the more this info goes round, the higher the chances of it getting blocked. Am glad i now have six(6) Testifiers. It rocks wella and wella. I just downloaded file of 8gb. Mtn is in trouble. Rock it bro! is it stilll working or should i wait foe them to tell me my 2hour plan is exhusted bfor i stop blazing nd keep it for 2hour? Wisdinho, no need of waiting for them to tell you that your 2hrs has exhausted. Keep browsing bro. Professor Yoms! Na you biko!!! Keep up da good work man. Will give it a try b4 the party is over! wat s d username, password and APN for d mtn on pc settings? Like i said in my post, that only constant internet users will appreciate this tweak. Hello Mr Kola, The sim will stop browsing the moment your BIS expire. After then, resubscribe for another bis plan and repeat the process. But within this time before it's expiration period, you can download unlimited. For your information, i downloaded file of 10gb a day before yesterday. So flex it while it last. This tutorial is 100% blazzing and faster. I am a still blazing it. If u follow what d poster said above, u will get d result above. Tnks for diz post Yomi. I will bookmark ur blog. This is serious. So MTN don't want us to know the truth? Gregory you mean you just finish the datacap? Ok, this is what you will do, subscribe for the 2hrs plan and you are on for unlimited till June when your data cap will expire. 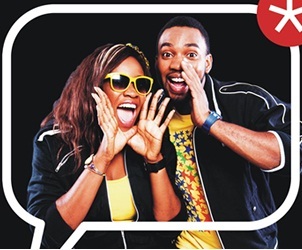 Send 2 to 131, u shud receive a message that u have used 0mins of ur 2hrs bundle plan. then proceed to the next step of resting ur SIM for minimum 24hrs. Are u saying wen i send 2h to 131 i shld not browse wit it atall b4 resting it? Can some one tell me about Etisalat? sim to browse for free now using mtn default. Or Use d sim to browse for less than two hours like for 1hrs 30min then remove the sim for 24hrs. please send new mtn browsing code to me on 08060183789 or [email protected] thanks. Pls do inbox me any cheat anytime. Tanx in advance PROF.
please someone should send me free browsing codes for tigo and mtn gh please i need you help here is my email [email protected] thanks to you all. and you'll discover Kohl's coupons. Free Airtel Airtime For You…Hurry!